The Vibe Sinclair from Ultra is a modern range with clear, clean lines and a prominent extended spout. 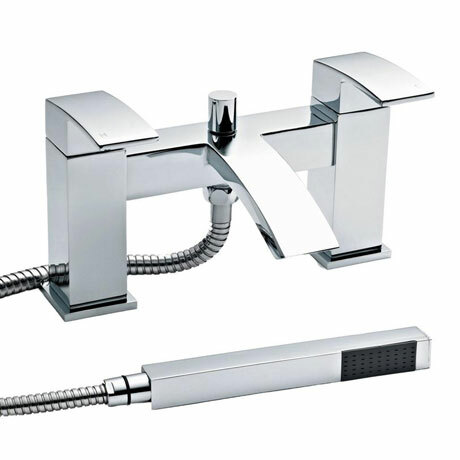 All taps in the range feature a thick, easy to use lever function tap head. The internals are all high grade brass and feature ceramic disc technology for a smooth action. This Bath/Shower Mixer is designed to be deck mounted and requires 2 x tap holes, the unit also includes a shower handset and wall bracket. Hi, these products needs a minimum of 0.2bar to work. Hope this helps! Q. Are these taps suitable for a combi system? Hi Ray, yes the Premier Sinclair Bath/Shower Mixer is suitable for the combi system. Thanks.